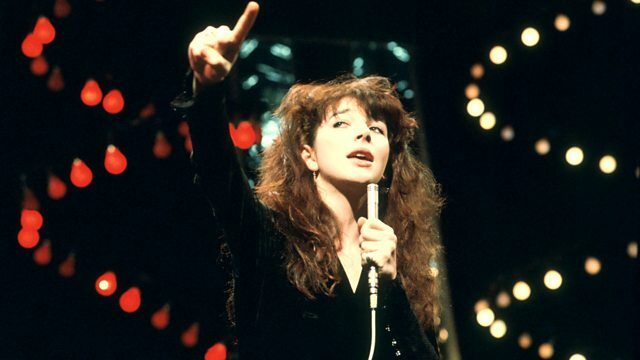 Kate Bush performs songs such as Wuthering Heights, Babooshka and Running up That Hill on BBC TV shows, alongside other intriguing and lesser-known material in the BBC studios. Between 1978 and 1994, Kate Bush appeared on a variety of BBC programmes, including Saturday Night at the Mill, Ask Aspel, the Leo Sayer Show, Wogan and Top of the Pops. This compilation showcases her performances of hit songs such as Wuthering Heights, Babooshka, Running up That Hill and Hounds of Love, alongside other intriguing and lesser-known material in the BBC studios. Performances from some of rock and pop's biggest acts.